A firebowl can be built on the free part of the allotment. This element will add originality to your smallholdings, and the correct device will make your stay beside the fire comfortable and safe. 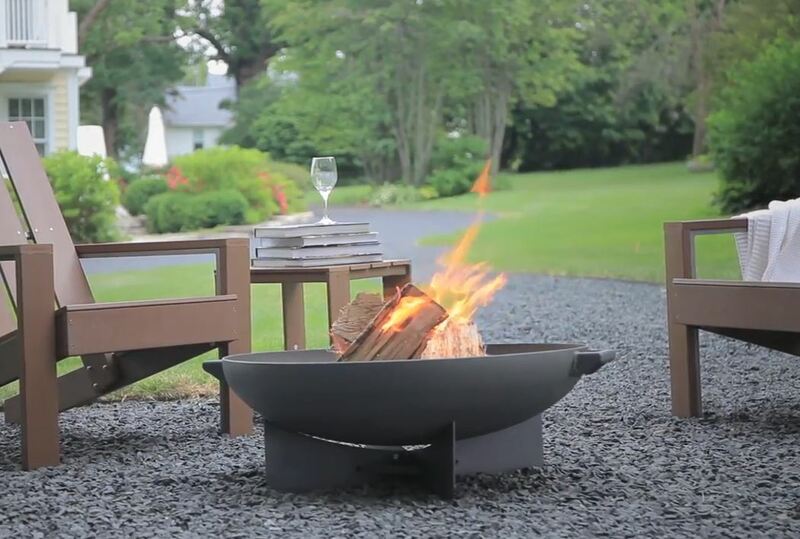 When choosing a place for firebowl arrangement ergonomic requirements and fire safety should be considered. So, you should choose a place in the garden, which is relatively far away (at least 3 meters) to wooden buildings. Fireplace has to be located away from the parking lot and other flammable objects. It is important to avoid the proximity of trees and shrubs. Strong flame can burn the leaves, damage plant bark and roots. Finally one more stop is the dividing line with the neighbor’s territory. From it is better to retreat at least 3 m (especially if there is the house behind a fence, not a lawn or a garden). Looking for a place for a fire, it is necessary to take into account the proximity of their own windows – from them to the site of fire should be 5 m or more, so that the smoke did not fly in space. This is particularly important when it comes to bedroom windows or child’s room. But the proximity of any body of water from the mini-fountain to the pond, not only permissible but also recommended. There are no clear rules regarding the geometric parameters of platform. On a paved area or lawn place recreation area which includes benches, chairs, tables. While making that it is necessary to retreat from the fire not less than 1 m. Also nearby a place to store a firewood should be provided. And if the use of open fires for cooking kebabs and barbecue is at plans, so a table would be useful for cutting products. However, you can use a portable garden furniture instead. Begin process of excavation – a place to fuel the fire a little bit better to lower below ground level. Area around the hearth cannot bridge if the fireplace is protected by solid walls height of 0.2-0.3 m. The main thing – to provide a barrier that does not allow the wind to fan the ashes. The ring from galvanized steel strips is made with a diameter smaller than the diameter at the marked campfire circle exactly the width of the bricks or stones, which will serve as the walls of the future focus. The ring is mounted on the ground in the center of the circle. The space inside the ring and around it is filled with the gravel. Then laying of bricks, stone or hewn blocks on a refractory cement mortar is made (which is used in masonry fireplaces). As a result, the metal ring is inside the stone. You can not to lay the stones around the metal, but put the metal parts inside the chamber at the end of the masonry work. The firebowl place is ready. 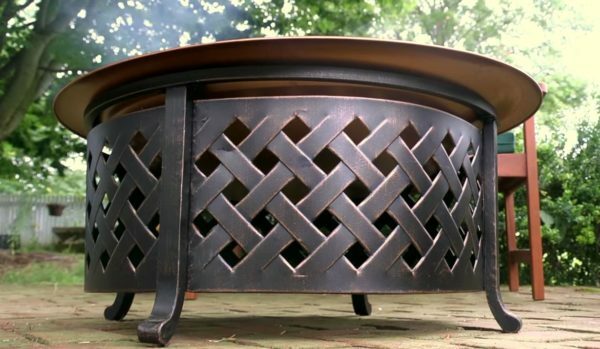 An old iron barrel can be easily turned into a firebowl. It is needed only to be cut to the required height and buried in the ground so that the surface remains on a small ledge. Outside the iron ring should be imposed by stones using the cement mortar for the compound. The drum of an old washing machine can play the role of the firebowl with no problems. You just need to remove the central axis and all the plastic parts.